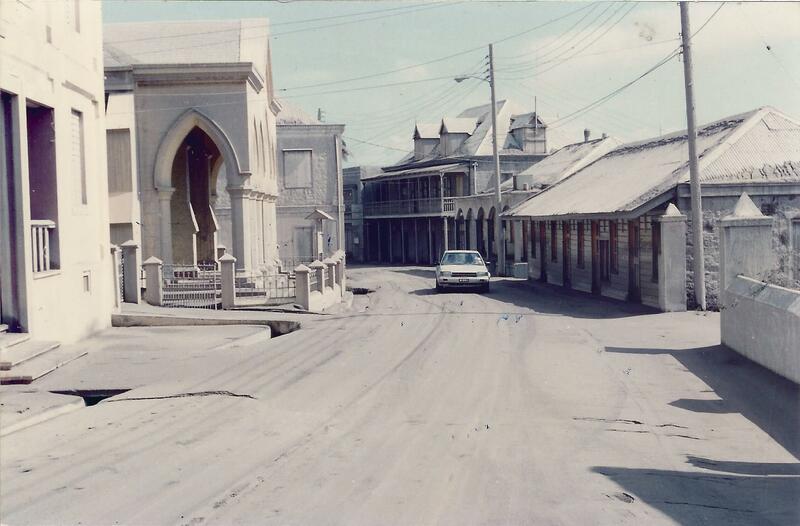 It was 23 years ago, in 1995, when Soufriere Hills volcano began erupting. 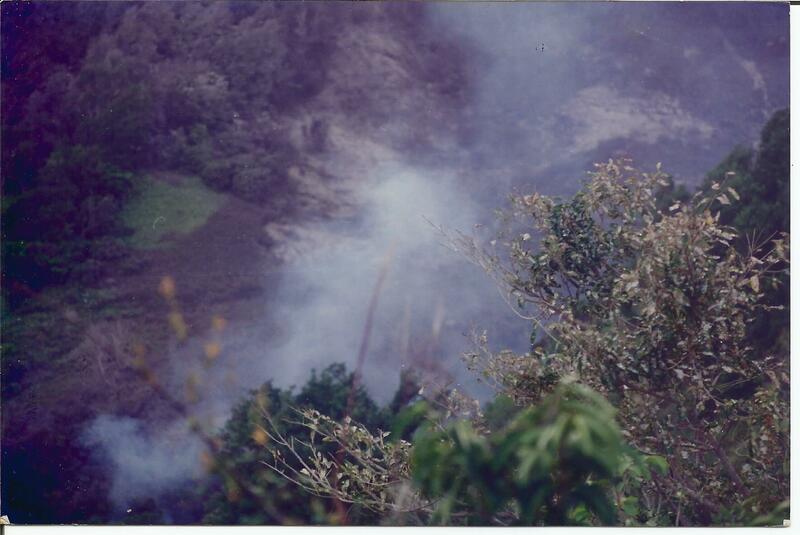 July 18, 2018 marks the 23rd anniversary of the Soufriere Hills volcano eruption. 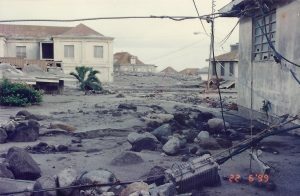 The eruption and ensuing explosions, pyroclastic flows and fatal events, have rendered more than one third of the island uninhabitable destroying the capital city Plymouth and causing widespread evacuations. When the Soufriere Hills volcano began its activity in 1995 no one, not even after months when the scientists might have convinced all that this was a volcano that had been quiet for hundreds of years had come to life, believed or thought that this would be spoken of 23 years later, as being still considered not yet back to sleep. Everyone will remember something of significance from this eruption that they will remember individually. 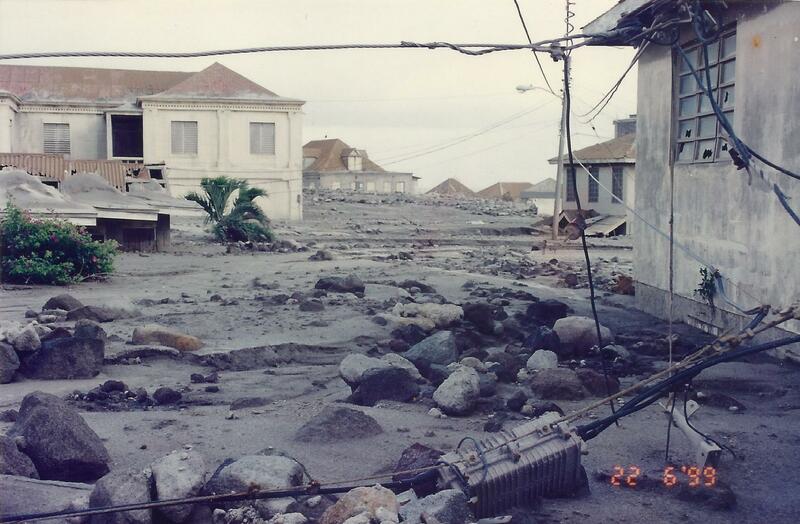 But it is likely that the one event that would never be forgotten, when on June 25, 1997, we remembered few weeks ago, pyroclastic flows, swept northwards from a dome collapse, resulting in the tragic deaths of 19 Montserratians. Another five persons received serious burn injuries, from the flows and the associated surge clouds. 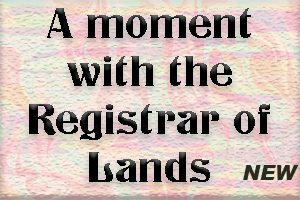 Montserrat has certainly not recovered from near extinction, and today it is still not known that there are those among the authorities (powers that be) who do not believe that this is still not a possibility. 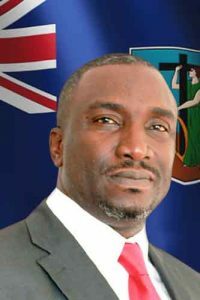 That thought or belief has been the hindrance of any honest and serious effort to develop the north of Montserrat into normal lives for the residents. It certainly has been the cause of much ‘confusion’ since that belief had never been admitted until 2008, when it was revealed that the time had come to move forward. A report of an investigation of the major British aid department, shows that efforts have been misguided. It decided, while, “DFID has worked closely and successfully with the Government of Montserrat to help the island make the transition from the immediate post-disaster emergency to a stable normality, albeit with significant financial support. While there were a range of strategic documents emanating from the Strategic Growth Plan, there is still to come a coherent, meaningful strategic view of self-sufficiency. 23 years on, the MVO still reminds residents (it is their job) and visitors alike that even though the volcano has been quiet for more than eight years now major activity can still occur at any time without warning. The records show that the last activity of any significance according to the MVO occurred in February 2010, where there was a dome collapse to the North East of the volcano. Montserrat Volcano Observatory. Fellow Citizens, Residents and Friends of Montserrat, wherever you may be, today, 18th July 2018, marks 23 years since the Soufriere Hill volcano erupted and changed the lives of Montserratians forever. Montserrat has been changed, yes, but thank God, not destroyed; has been down but not out. Solomon tells us that there is a time for everything under the sun, and I firmly believe that today is a time, not to forget the past, but to let it rest for the moment, a time for me to encourage you with some positive news about the present and the future. Therefore, I shall be focusing on a number of priority projects that my government has been working on to help transform our social and economic conditions. First of all, is the Little Bay Breakwater and Port Development Project. I am pleased to report that we have now started the procurement process for certain consultancy and supervision contracts. You have already heard the advertisement on Radio Montserrat for a Project Coordinator. This means that we are well on the way to having our first breakwater and safe harbour, the first ever safe harbour in the history of the island. It means having the capability to dock cruise vessels, luxury yachts, cargo vessels and the ferry at the same time. It means no more waiting for cement, flour or sugar because boats can’t dock. It means no more being stranded on the ferry 100 yards off Montserrat’s shore because of rough seas. It means jobs for taxi drivers, artists, craftsmen and everyone involved in tourism. It means larger vessels and therefore cheaper freight, which should in turn have a positive impact on prices for everyone. Then there is the Montserrat Subsea Fibre Project, which is now fully supported by DfID. We are at the stage of finalizing the tender documents with the aim of issuing an Invitation to tender within the next month, completing the evaluation of bids by the end of September and hopefully issuing a contract by the end of October. And if everything goes according to plan, the system should Go Live by August 2019. The days of phone calls being cut because of the internet being too slow, the frustrations of trying, in vain, to watch a video online – all this will be history. A high-speed connection will also allow us to make history as we set up the first Digi Beach to encourage tech startups in the Caribbean. My administration has already started to embrace the future of blockchain and cash being digital as we welcomed BITT to our shores. Regarding the Geothermal Project, which has the potential to provide Montserrat with abundant, clean, renewable energy at a reasonable cost, two wells have already been dug. The completion of the third well is under negotiation between DFID and IDC drilling company. The early market engagement for the surface plant was completed and evaluated and the report is being reviewed. We are still in active negotiations with the British Government for the completion of this project, as well as that of the new hospital. the breaking down and removal of the temporary wood & steel buildings on the Government Headquarters compound. Further, other small capital projects are being prepared for procurement. This will include Major Roof works and railing for Block C at the Brades Primary School, and other maintenance works to include resurfacing of Basketball courts, fencing and painting of school plants, etc. major roof recovering at the Salem Nursery School. various rehabilitation and retrofit medical storage works at the hospital, including installation of ventilation systems, construction of the X-ray plant room and a central sterilizer to be completed during this quarter. I also express appreciation to the FCO and the people and government of the UK for the Heliconia Star. It has already begun to make a difference for our security, safety and resilience. These are all little drops of water that together are contributing to an ocean of positive change for Montserrat. On the private sector side, many are taking advantage of the concessions under the Homes Built for Sale or Rental Programme. Those who build a house for rental or sale costing $180,000 US or more will not have to pay duty or consumption tax on building materials imported. And we are already seeing an increase in construction spending and jobs. I also recently visited the Montserrat Football Association’s construction site where a 32-bedroom Dormitory is underway; important infrastructure for sports tourism valued at 8 million dollars, and which should be completed by next year. In addition, it is anticipated that the Montserrat Football Association will be host to several international matches later this year along with the Leeward Islands Cricket Tournaments. This to my mind will be a great boost to our enterprising citizens with businesses, just as we saw with the recent conferences for fisheries and for Ministers of the Environment, the Leeward Islands Under 17 and Under 19 Cricket tournaments and as we also will see for the Calabash Festival. Not too far from the Montserrat Football Association’s football dormitory development, is the 10-unit Art Housing project which is well on the way. Plans are also in place for the construction of super villas adjoining the Isles Bay Plantation units. Other similarly promising project proposals are being discussed and negotiated as I speak. I will personally be following them up closely so as to ensure that this demonstration of Investor confidence in the economy is properly supported and facilitated right through to implementation. As far as relations with Britain are concerned, a key reason for Lord Ahmad’s recent visit to Montserrat in May/June was for him to see firsthand the work that was being done to prepare for this year’s hurricane season as well as to explore ideas for the development of a stronger and more sustainable private sector economy. As many of you would have recently heard in the media, we are soon to receive additional and much needed equipment provided by the Foreign and Commonwealth Office, so that, should a hurricane hit, our Government can respond in the most efficient and coordinated way. While attending JMC (Joint Ministerial Council) meetings in London in June, I met with FCO Minister, Lord Ahmad and DfID Minister, Lord Bates, to continue discussions on the Construction of hurricane-resistant housing. Meanwhile, hurricane Beryl turned out to be only a tropical storm bringing us much-needed rain – and thank God for that. In my meetings with Lord Ahmad and Lord Bates, we also discussed the completion of a critical section of the, and the Provision of Essential Equipment and Plant to properly install telephone posts and repair or construct asphalt-based roads. Following this meeting I can now report that I have in my hands a joint letter from FCO and DfID Ministers Lord Ahmad and Lord Bates. In this letter they committed the UK to providing physical support for Disaster Resilience. They also mentioned that they have been persuaded of the need for the UK Government to provide additional capital investment in Montserrat. Discussions to develop proposals for these Capital projects are expected to start within the next few weeks with a view to being finalized before the end of the year. Private Sector Development (with an emphasis on promoting youth and locally driven entrepreneurial businesses, tourism related infrastructure, etc). In June, I attended a Meeting of the United Nations Committee for Decolonization, where I called on the UN to support a Development Partnership Agreement or Memorandum of Understanding between the governments of Montserrat and the UK. This MoU would have a list of priority projects with committed funds and a set timeline for their design and implementation. I also asked the UN Special Committee to appoint a neutral, technical team to monitor closely progress in the negotiations and implementation of said projects. Lastly I requested that the UN send a visiting team to Montserrat as well as to Antigua and the UK to meet evacuees so as to grasp the context of where Montserrat is now and where we want to go to get out of economic dependence. These requests as you can see, are in keeping with what I have argued for over the past 4 years and what the FCO and DfID Ministers are now offering to do with a five-year capital programme in the recent joint letter to me mentioned before. Nationals, non-nationals, residents and friends of Montserrat, there are many ups and downs behind us, and there will be more ahead. That’s life as we know it in an imperfect world. But it seems to me that we can ad0pt to our situation today, and the hope that we have for tomorrow, the words of Joseph to his brothers about the crisis that had erupted in his own life: “God has turned it into good”. (Genesis 50.20) Can it be that the volcano which many expected to wipe Montserrat off the map, is turning out to be a blessing in disguise? For us to benefit fully from this blessing however, I believe that we need to adopt Joseph’s positive attitude, trusting God whatever happens; to set politicking aside, unite and pull together and seize the many opportunities opening to us all, wherever we may be, God being our helper. Thank you for listening and may God bless Montserrat.